It has not rained in more than a month. I laugh out loud, dancing in the rain. A smile smears joyfully across my face. rain drops pelleting my face, my arms. My dog stands, rivulets of rain running off her. the steel roof plays staccato music. 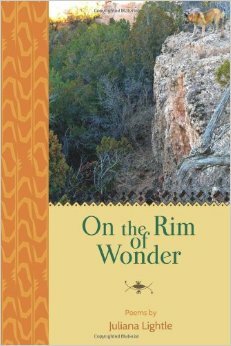 From my book “On the Rim of Wonder”. This poem holds true today. After a summer with lots of rain, it quit. It is very dry with a high danger of wildfires now that the summer vegetation has dried, perfect fuel. Beautiful poem, Mary, It hasn’t rained here is Southern California, since many months and that has caused so many fires.